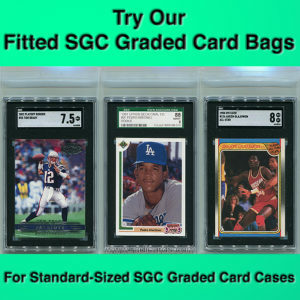 1 pack of 100 premium fitted PSA Graded Card bags. Price is for 1 pack of 100 premium fitted PSA Graded Card bags. Cards not included. 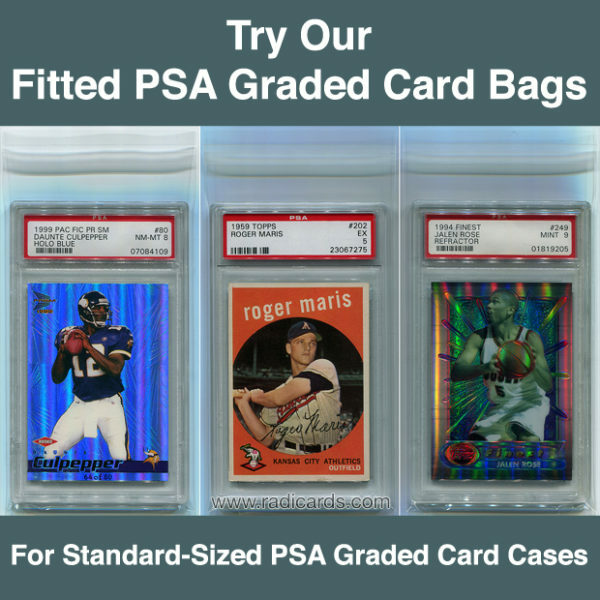 I had been looking for a good PSA Fitted Bag for my PSA cards for quite a while. The zip bags were too expensive and didn’t allow for a nice fit in my storage container. These bags proved to be the answer. 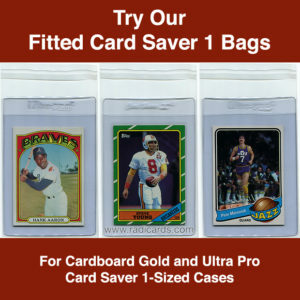 They provide easy storage with no “bunching” and excellent protection against the cases getting scratched while still leaving the cards aesthetically pleasing. Couldn’t be happier with my purchase! 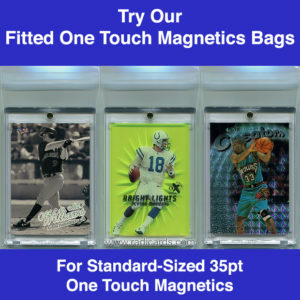 These are great bags! 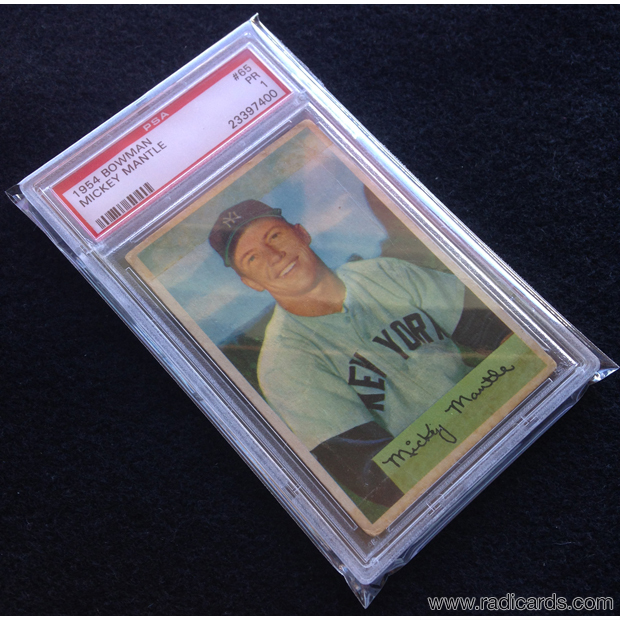 They fit the PSA slabs perfectly and give a clean, crisp look that you don’t get with the Ultra Pro offering. 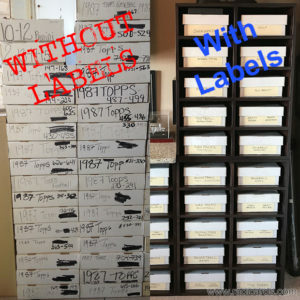 No fold over and taping necessary!